This 9x12 vintage piece of sheet music is the famous song from the 1939 color classic, entitled "Over The Rainbow". It is in EX+ overall condition and comes autographed in red, blue and black inks by all five main stars of the movie, all of whom are now-deceased. 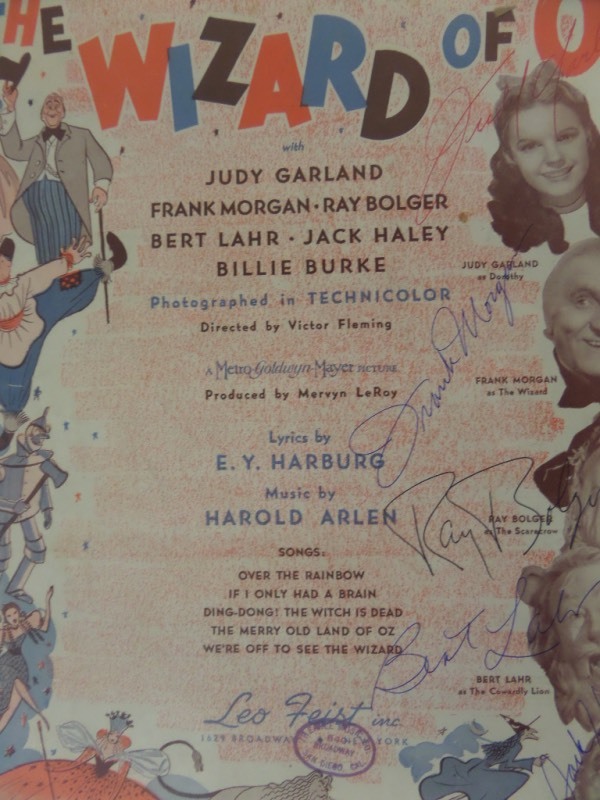 Included are Judy Garland, Frank Morgan, Ray Bolger, Bert Lahr and Jack Haley, and with all five signatures present on this beautiful display item, it values into the low thousands!